Early childhood is prime time for encouraging optimism and resilience in children. Some researchers have even suggested that optimism, as an “explanatory style” in experiencing the world, may be established by the time a child is 8 years old. Through positive role models and through practice thinking optimistically, children can learn to conquer obstacles and believe in their ability to face challenges. Parents and teachers play a critical role as children learn different ways to respond to age specific situations. 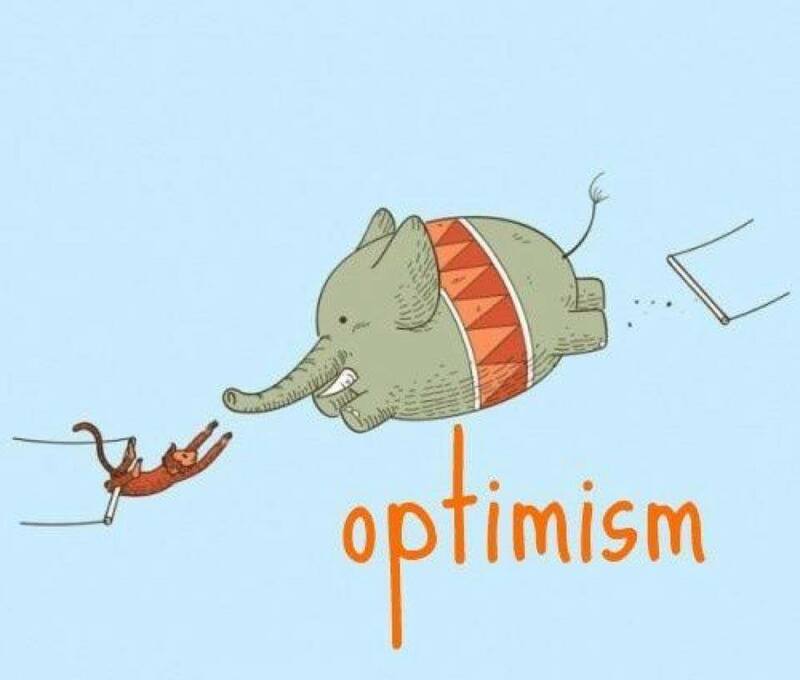 How can you teach optimism and resilience? First, optimism and resilience are contagious. You must start with an awareness of your own reactions to external events and situations. Second, optimism and resilience are skills that are learned over time with experience and practice. 1. Praise your child’s effort not success. When a child learns the value of process over product, they can accept failure as temporary rather than permanent, innate or debilitating. From babies to teens, they focus on solving problems, cultivating new abilities and moving forward with confidence and pleasure. 2. Encourage your child to try something new every day or at least every week. From writing with her feet to catching an icky bug, each new activity stretches what your child “can” do, eliminates boredom and creates a sense of competence and engagement with the world. 3. Equip your child with tangible emotional support to conquer tough situations. Dumbo had his magic feather that helped him conquer personal doubts. The Kissing Hand gives children a tangible reminder of a parent’s love when they miss them or believe they can’t succeed without them. Loveys conquer nighttime separation. Young children especially need to see, feel, hold a little emotional courage until it becomes a personal habit. 4. Help someone. Children feel strong and capable when they help others. Look for ways for your child to do small and large acts of kindness – from giving away outgrown toys and drawing pictures for someone sad or ill to saving pennies for peace or cleaning up litter in a neighborhood park. There are always ways for children to make a difference rather than to feel helpless or overwhelmed by negative situations. 5. Be your child’s best role model. Your child cannot learn optimism and resilience without a savvy adult who continually responds to new situations and temporary setbacks with acceptance, confidence as well as a touch of humor. It isn’t easy to lead your child into new adventures, especially when they are new for you too. But you can do it! In this fast-changing world, the child raised with roots and wings is the child who is prepared for anything. Teaching optimism and resilience will teach your child to fly.